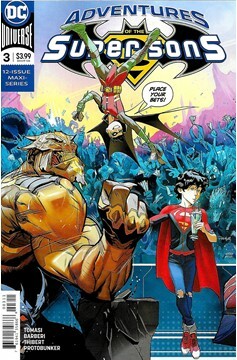 The Super Sons find themselves tumbling through space and time without so much as a GPS to guide them! 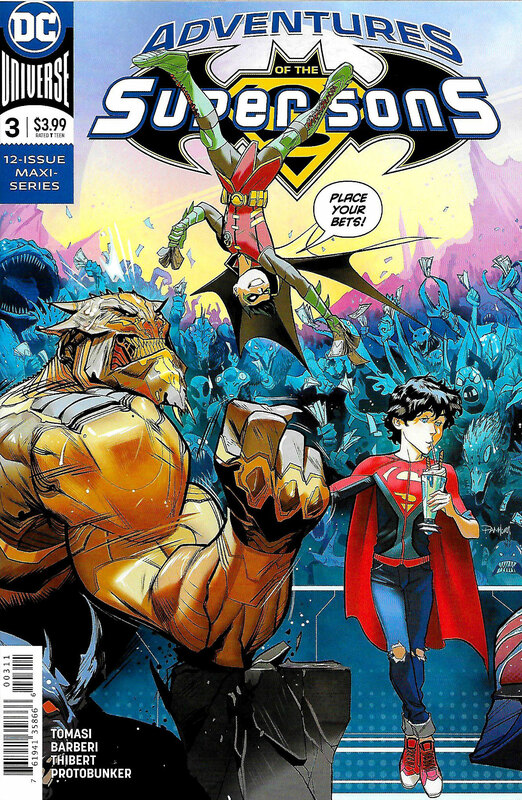 Having battled the intergalactic group of teen hoodlums known as the Gang, Superboy and Robin barely escape. However, they do end up having a shootout with gunslingers on a Western-like world before engaging in a swordfight to save a princess on a medieval-like planet. The Sons need to find their way back to Earth before the Gang does a planetary smash-and-grab with the whole planet!.